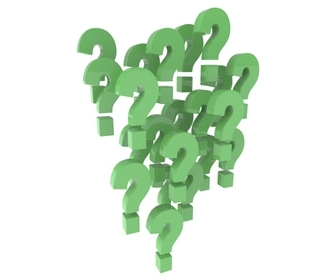 You May Have Questions…These are some of our frequently asked questions. -And an opportunity to meet others in a welcoming atmosphere. A typical service includes fellowshipping with others (if you choose) before the beginning of the service; announcements which are given as we gather for the opening of the service; followed by a time of worship which starts our service, prayer, offering and the sermon. A final worship song is sung at the conclusion of the sermon. CEFC is a country church filled with people who will lovingly greet you. We are comprised of people of all ages and there is something for every age group. Our current attendence is about 175 people, many who are members of the church. What types of ministries do you have? We have an entire menu tab devoted to the ministries we offer at CEFC. But to highlight a few we have Men’s, Women’s, Children’s and Youth ministries. Awana is one our main children’s ministries and we also offer a quarterly men’s breakfast, ladies Bible studies, members who visit shut-ins and those in nursing homes and so much more. Our Church Calendar is up-to-date with everything that is going on, so feel free to open it up and join us for any of the activities you see listed on the calendar. We provide a blend of both contemporary and traditional music. We project our music to encourage our visitors to sing along with us if they are not familiar with the songs. We also invite our musicians to share their spiritual gifts with us each Sunday. We celebrate The Lord’s Supper every first Sunday of the month. Dress is anywhere from very casual to more “Sunday best” type of dress…whatever you feel comfortable wearing. Either way is great as long as you come with an open heart. If you have a Bible, bring it along! We use the New International Version (NIV), but bring whatever have! We have free Bibles available as a gift for those who need one. Finally bring a heart and mind opened to what the Bible has to say about life and faith in the 21st century. We are a kid-friendly church. We have a nursery for kids 0-5 years old during Sunday School and Worship Service. We have Children’s Church for kids 1st – 4th grades during worship service twice a month. We have Sunday School for kids from 0 to 12th grade.